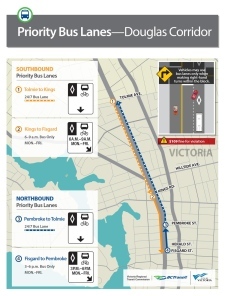 Dedicated bus lanes have opened along one of Victoria's most critical arteries, and city officials say it will speed up transit travel times. The priority lanes officially opened on Douglas Street between Fisgard Street and Tolmie Avenue Monday after work began more than three-and-a-half years ago. The northbound and southbound lanes will be closed off to traffic much of the time, with only transit buses and cyclists able to use them. 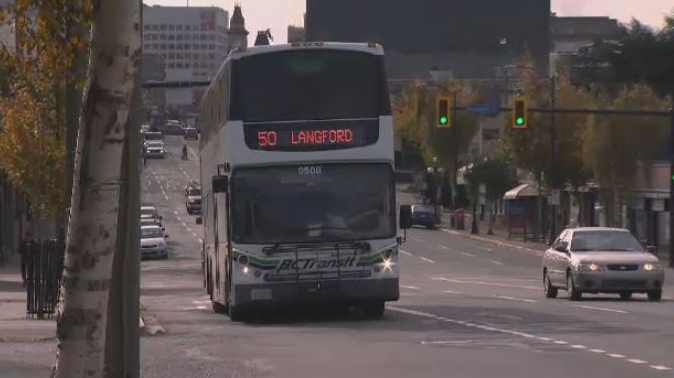 "This is a signal that buses are indeed going to be given priority on the Douglas corridor," said Susan Brice, chair of the Victoria Regional Transit Commission. "With transit carrying 40 per cent of passengers and taking up only three per cent of the space over high priority times, this makes sense to give buses the freedom to move throughout the area." Brice said the board also hopes that drivers who get stuck in traffic and see buses swiftly moving in the lanes will inspire them to become passengers themselves. "Giving people options, really, that's what it's all about," she said. The southbound lane will be bus and bike-only all day, every day from Tolmie Avenue to Kings Road. From Kings Road to Fisgard Street, it'll be bus and bike-only during the morning rush hour from 6-9 a.m.
Northbound lanes heading out of downtown Victoria will be blocked off to cars between Fisgard and Pembroke Street between 3 and 6 p.m., and all day between Pembroke and Tolmie Avenue. Vehicles will only be permitted to use the lanes during dedicated bus priority times when they're turning right within the same block. The end of construction along Douglas Street also had businesses along the route rejoicing now that they won't be faced with as many traffic backups on the way to and from work. "I'm happy it's done, it's a long time coming. It felt like it was never going to be finished," said Donna Brooks, who works at a podiatrist clinic on Douglas. "A lot of our patients said it took an extra 20 minutes to get to our office because of the construction." 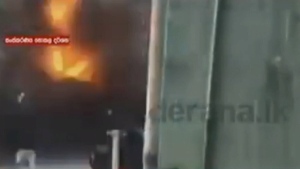 Drivers who violate the new rules could face a fine of $109. Enforcement is expected in the coming weeks as drivers are educated about the new rules, but the impact of the new lanes is expected immediately. "The intent is to make transit travel times faster and more reliable, making transit a more viable transportation choice," said James Wadsworth, planning manager at BC Transit. More priority bus lanes are scheduled to be completed northbound just short of the new McKenzie interchange by the end of December.